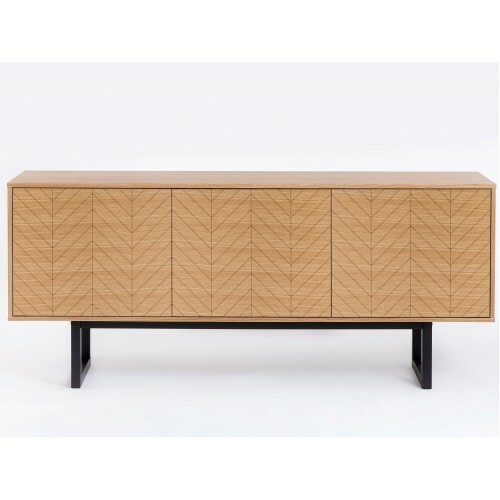 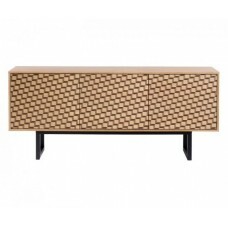 Reminiscent of the type of parquet flooring you would find in a majestic Manor house, this herringbone print sideboard skilfully combines the vintage and the contemporary. 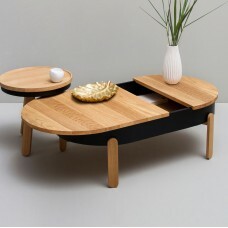 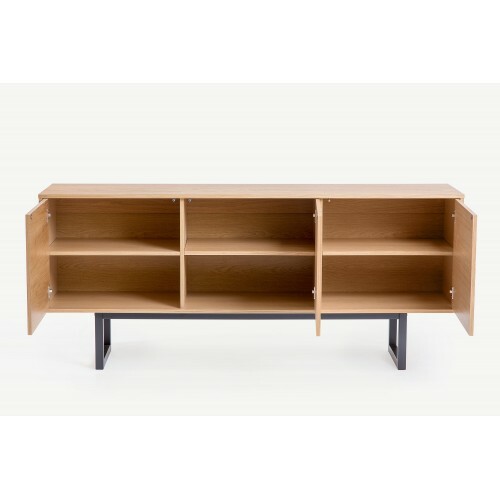 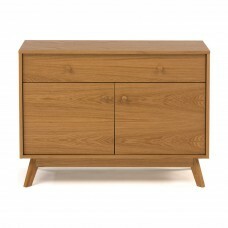 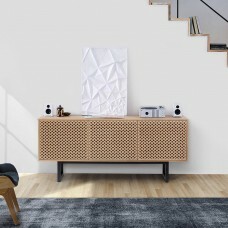 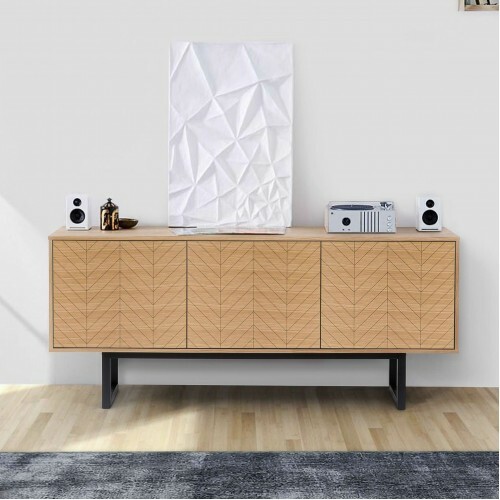 With an undoubted look of the ever popular Scandi furniture craze, this sideboard will brighten any living space whilst ridding the room of any annoying clutter due to its trio of generous storage cupboards. 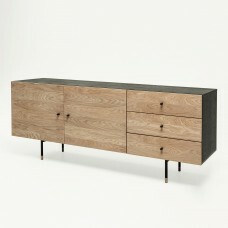 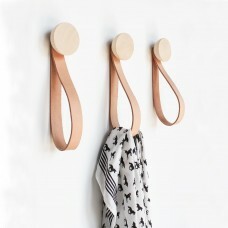 The look is completed with squared tubular legs.